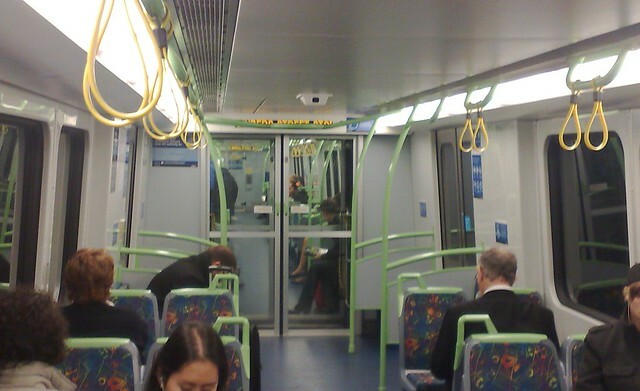 The new X’trapolis trains have been rolling-out onto the rails for just over a year now. They’ve been wisely designed with lots of hand holds, but whose bright idea was it to place the internal signs behind them? As a result the next station and destination of the train are often obscured.